Entering your production license information and activating WP Post Map allows you to receive automatic updates. Turns on or off the automatic updates. For automatic updates to work, Intense needs to be activated first. 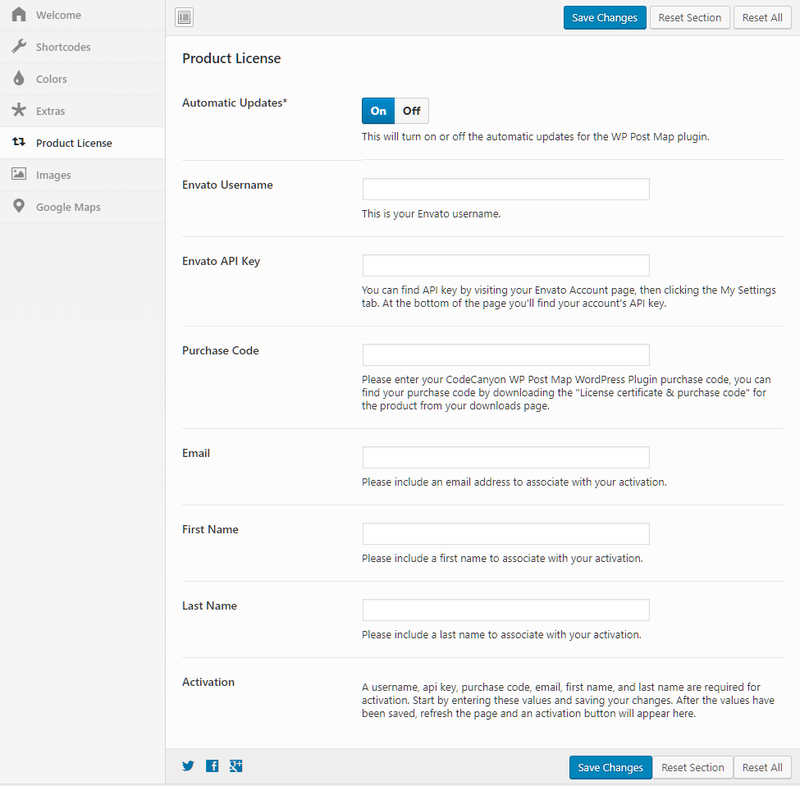 The API key is obtained by visiting your Envato Account page, then clicking the My Settings tab. At the bottom of the page you’ll find your account’s API key. You can find your purchase code by downloading the \”License certificate & purchase code\” for the product from your downloads page. Enter an email you wish to associate with your activation. Enter the first name you wish to associate with your activation. Enter the last name you wish to associate with your activation.